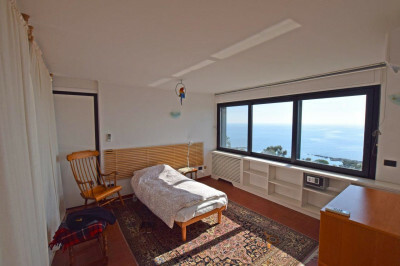 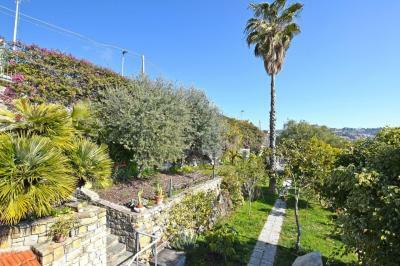 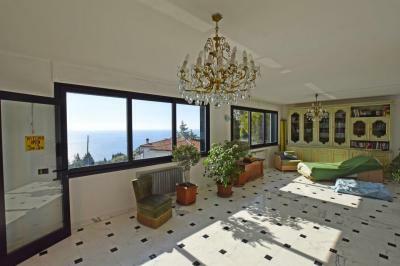 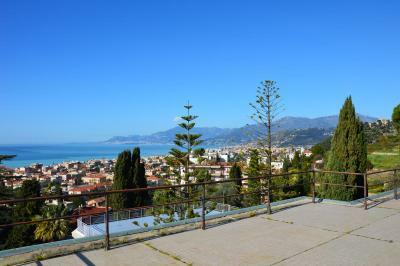 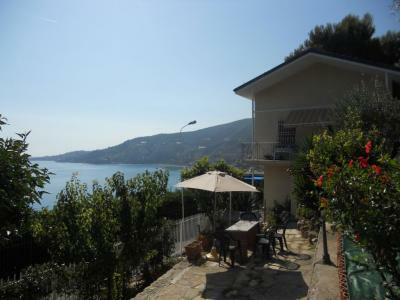 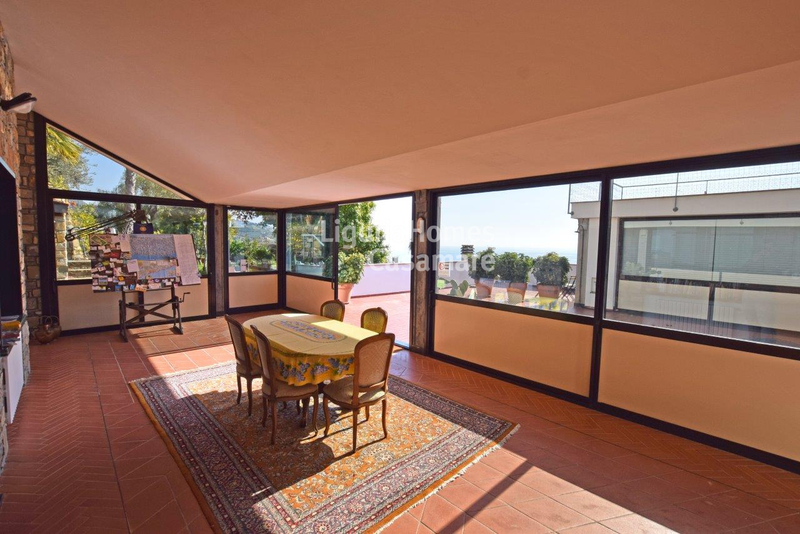 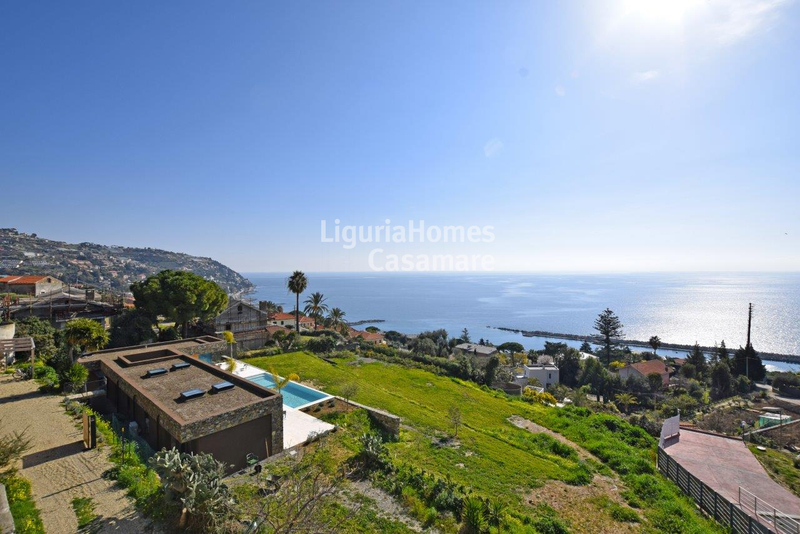 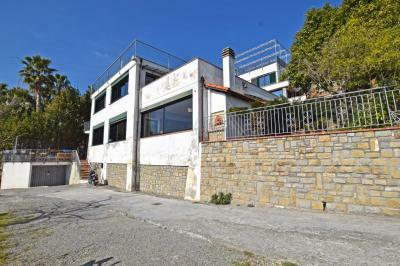 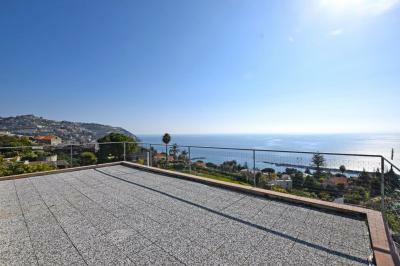 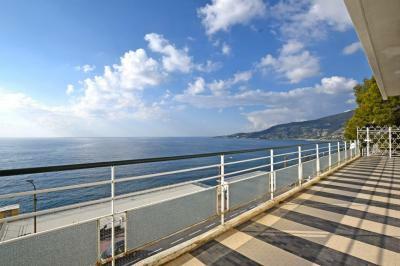 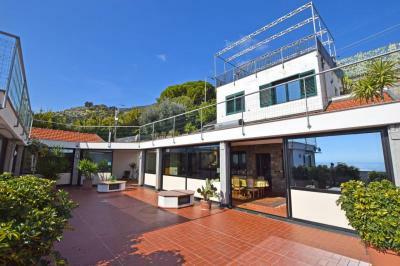 Modern Villa with a seaview for Sale in Italy, Liguria, Ospedaletti. Situated in a very quiet part of a beautiful mediterranean resort Ospedaletti, Ligurian Riviera, an exclusive 3-level Villa with a fantastic seavew for Sale in Italy. 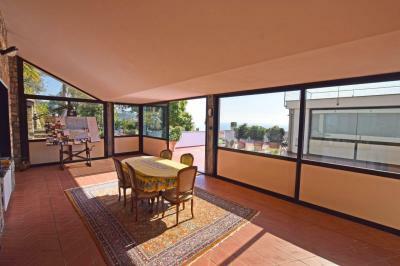 second floor: apartment with entrance, living-room with a kitchenette, bedroom and bathroom. 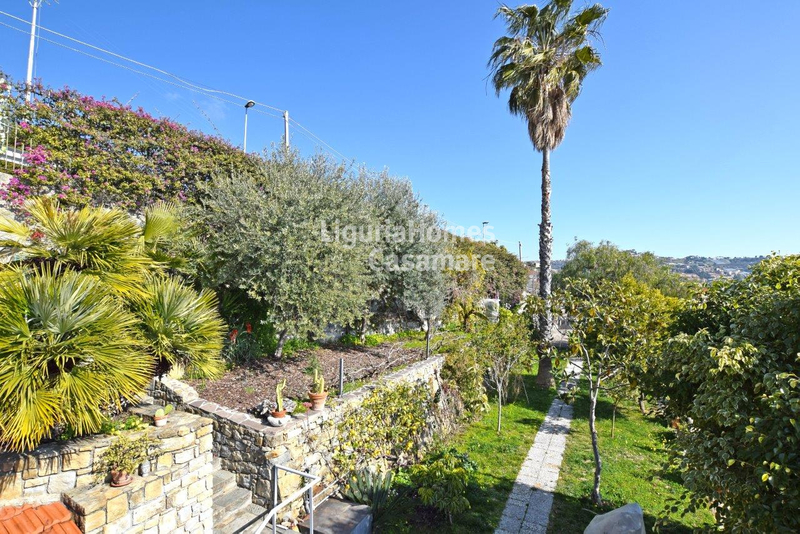 Splendid garden with palms and fruit trees, solarium, spacious parking and a double-garage surrounds this lovely Villa with a seaview for Sale in Italy, Liguria region, Ospedaletti.